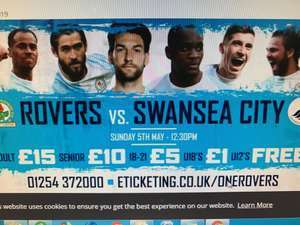 Watch the last home game of the season at Ewood park Blackburn v Swansea Children under 18 only £1 with adult paying £15 Children under 12 Free!!! Swansea play some great football but they don't tend to travel well. Appreciate only for a limited audience on HUKD but Rovers have just reduced the home shirt for animated time to celebrate being top of League 1. Your name would suggest you are a supporter of the greatest football club in the world: Manchester United. The fans will be using the shirts to mop up their tears when they take a hiding off Wigan Athletic. Kids for a quid! Blackburn Rovers v Middlesbrough - this Saturday. Good deal for Championship football at this price. Non-league games are more expensive than this. Adults are £12. Good value to watch 2 mediocre teams struggle against each other. Will be expecting both teams to finish low/mid table this season. Blackburn are a former shadow of themselves and a prime example of what happens to a club when people with more money than football knowledge take over a club. When the chicken farmers took over they were boasting of a top 8 finish in the PL and now look at the sad state of affairs. 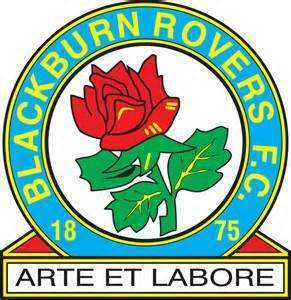 If they are not stabilised quickly, Blackburn are the next Portsmouth - which will be sad for the entire football league. Now more important matters, come on Swindon Town! You do know football existed before Sky? Teams have been winning the top division since the 1800s. I went to High School with Steve Kean. It'll put the kids off footy for life. You're getting less than half the games (11 out of 23) and it costs more than half the price (was about £270 for the full season IIRC, even cheaper if you bought early on last year's prices). I'm a Rovers fan and I think this is a terrible deal. I don't think that description is very accurate. 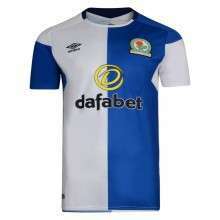 It say "as rovers push for automatic promotion". Blackburn have lost 4 and drawn 1 of their last 5 games and are 13 points off second place. Maybe the push starts in January. Can't wait to beat you on sunday! UTC! Hot. I used to go see Blackburn Hawks all the time. Rovers not so much, but can't fault the price. cold - still waiting for "hound for a pound"
how much 4 the adult tickets? £15 will be the cost of a season ticket next season! I'm sure there are positives to be taken from this deal! Is this as a spectator or do you get to be manager for the 2 games. Probably get less abuse than poor Stevie. I went to school with Ken Smith. how is this deal local to swansea? 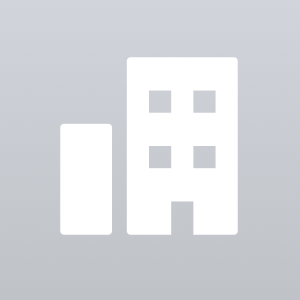 it is listed under local deals (swansea) blackburn is nowhere near swansea may i suggest that the op looks on this site for an atlas of the uk and brushes up on they,re geography. Even if you go to only one of the 3 games it's still cheaper than paying on the day. And if you're a neutral, with a side as bad as Blackburn you're guaranteed goals. I am visiting the dust museum on those days. Think it will be more interesting and better value for money. Relegated by Christmas and financially ruined in 12 months. Ridiculously cheap for premier league fixtures, well worth it! but (and this is a big but) you'd have to watch Blackburn. there's a reason they are that cheap. Not the best of games, but hot for £20. As a neutral if I were in the area I would buy this as under £7 a ticket is ridiculously cheap. Ok, they are not a 'big' team and are not playing a 'big' team, but this could make even games of football which could be good to watch. And, being honest, there are likely to be a few goals too. So all the football snobs out there should get off their high horse and applaud the fact that you can see games live for so little. And to put this all in perspective, I am a Norwich fan and Villa wanted £40 for each ticket from away fans. Even though this was likely the only time I could see my team play this season, I still did not go because of that extortion. Wonder what the offer for next season's Championship games will be? Please point me to the direction where I have "spouted off" about this offer!! I have made NO comments regarding this offer, so please do not put words in my mouth or judge me by your own standards. Again, I have never said this is not a good deal, you guys have absolutely awful reading comprehension. Please read things more carefully before jumping up onto your soap box and claiming me to be a "bitter" Burnley fan. I actually think your sad Mik coming on here spouting off yourself about an offer someone has posted on here that is clearly aimed at Blackburn Rovers fans / supporters, if you can't see around your tinted spectacles then that's tough luck. Maybe it's because you are too bitter about the 32 years it's been? For The Prem, it's a good deal, as is Boltons &amp; Wigans, they have to be, especially in a recession to keep people coming in. Rovers attendances are good, especially when you take into account the financial climate and all the competing clubs in close proximity, as for how many travel in, that affects all the clubs, you have people coming from Accy, Colne, Nelson and Skipton!!! But I think you are perhaps giving Rovers more credit than we deserve for their "Pulling power" especially when they have clubs like United, City &amp; Liverpool within an hour Why don't you just accept it's a good deal and move on? You should be worried about what your damned board is doing to your club, my Burnley mates have been for ages! As I thought. Another clueless fool who spouts drivel he cannot substantiate. I am also laughing at your troll comment and the irony. Wonderful. 'unrivalled passion, drama and sheer excitement' - common, we're talking about Blackburn here!!! 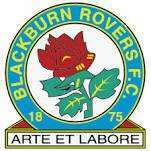 C'mon the Rovers! "We Are Stayin' Up, Say We Are Stayin' Up..."
Good deal HOT, Bolton are playing some good footie at the moment. Elmander is also interesting to watch. Always has been and always will be the 2nd team. Would much rather watch many of the other teams in the premiership than MCFC, just because they play better football, and yes, Liverpool is one of them, Arsenal, Blackburn, Everton, West Ham, Wolves etc - if that is ok by you! Understand? Won't be the second team in Manchester for too much longer, my friend. Your theory is that you would happily pay £45 to see the Premiership's 6th placed team, but the team in 3rd are so awful you would have to be paid to watch them. I don't really understand. I can, and I did call you Man Sh!tty. I have been to Anfield and it is well worth the money, whereas you would have to pay me to see the SECOND team in Manchetser - a team that definitely has more money than sense! As a Liverpool fan you can't really call us "Man Sh!tty" after the game in August where we completely outplayed you. And you can't defend charging £70 for an adult and a child. No-one is asking you to go - and hopefully Manc Sh!tty will get thrashed! I wouldnt listen to "No knickers Vickers"! Ewood will be back to the 1995 buzz AGAIN very soon!!! if it were free they would never fill it ha ha ha unless they put an onion on the roof!!! quote from local girl and pop star diana vickers. Good deal again by The Rovers, good to see others doing it, BTW, it will be a good game, now Sam has gone and we are playing the ball on the deck with 2 strikers (At last!) The Baggies play good stuff and their fans are a good crack. As for the doubters and the cheap chicken joke tellers, not a lot to say, apart from to suggest you get out more perhaps? And as for the "Massive" club brigade, do me a favour? he6rt6gr6m Great deal once again from Rovers. Tempted to stop by if I can manufacture the time. If they play like they did at Chelsea and how they did at Ewood against Liverpool, this could be a cricket-score. Cricket Score to Blackburn???? What planet are you on???? Think somebody drank too much mulled wine over Xmas!! Great deal once again from Rovers. Tempted to stop by if I can manufacture the time. If they play like they did at Chelsea and how they did at Ewood against Liverpool, this could be a cricket-score. Is this in the away end too? Do people really want a neck injury watching Blackburn? The club is far from desperate to get supporters to go. For the last 2 home league games the attendance has been 25000+ and that's without deals like this. Considering the capacity at Ewood is only around 31000, and the fan base isn't massive, the turnout has been pretty good. And as for the 18 million you refer to, what has that got to do with this deal? Absolutely nothing! You’re just highlighting the fact that certain clubs pay stupid amounts for players, win nothing, and have to charge extortionate amounts for tickets in order to balance the books. This is a decent, well run club giving something back to their supporters. A fantastic offer and a good post! Heat added. I think it's more likely that the club offered it because they cannot sell out so it makes sense to offer at a discount, get a sell out for people to see on the tv and make more profit than they would usually by selling out at this price rather than a half full ground at full price. It's just clever business, if you sold out week in week out you know that they wouldn't offer this! Home game v Arsenal last week was 6.5k under full attendance, over 20% of the ground empty. League Cup match v Norwich had around 75% of the ground empty, and the opening game of the season at home to Everton also had 20% of the ground empty. Fat Sam will be licking Sir Purple Noses balls as we speak! had a rovers season ticket for 17 years now, im 23! great deal. one of the best home record in the league. fantastic to see a small town battling it out against the big boys. everybody slates our 'long ball' technique, yet nobody bats an eyelid when Delap throws one in from 45 yards. Do you think if we played long ball football we would have the likes of Kalinic, Dunn, Pedersen and Diouf playing up front? Hardly aerial threats. Allardyce has this tag front his Bolton days with Campo, Davies, Hierro etc winning the long balls and its stuck with him. We don't get the credit we deserve. But when we're top 10 I can't say I really care! Put it this way, after Liverpool and Chelsea failing to win here, I hardly believe Fergie and Wenger are thrilled at the prospect of coming to fortress Ewood. End. Great Price heat added it's half the price of a Peterborough Season ticket and that'll be watching league 1 football next season! I'l only pay it if they let me play up front.